The global economy needs safe, efficient and environmentally sound ships to transport manufactured goods and other commodities around the world. Here we focus on a few of the key fundamentals to understanding what Costamare and its managers do. Global trade has multiplied in the last 20 years with an overall rise in living standards and the emergence of fast-developing economies in Asia and elsewhere. One ship can do the job of hundreds of freight aircraft or miles of rail cars. 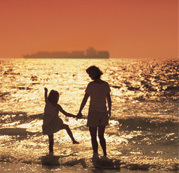 Due to their size and efficiency, ships are used to transport an estimated 90% of international trade to destination. As populations grow and urbanization continues in many parts of the world, more ships will be needed to meet the increased demand. 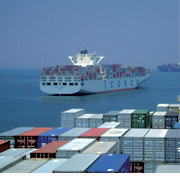 Container shipping is a core global service industry. Modern container shipping was invented more than 50 years ago in the US and has been a driver of global trade, making shipping of hundreds of types of products cost efficient. Since 1990 the container trade has grown exponentially. About half of the entire value of world seaborne trade is carried by containerships - equal to the combined value of cargoes transported by tankers, natural gas carriers, dry bulk and other types of vessel. Environmentally, the industry outperforms other transport modes. 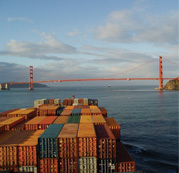 Shipping is the most carbon-efficient form of transport. While moving 90% of world trade, it is estimated to produce less than 3% of global greenhouse gas emissions. Despite this, the importance of the shipping industry makes vital its continued efforts to become even greener. 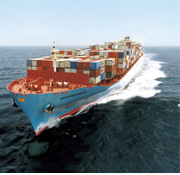 Container shipping specifically has made great strides in efficiency over the last few years. Modern containerships are 35% more fuel-efficient than in 1985 and because of economies of scale the biggest ships of today offer a 75% improvement in carbon efficiency compared with 30 years ago based on cargo volume and distance transported. Our partners span the globe. 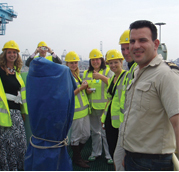 COSTAMARE INC.'s long experience in containerships plays a significant role when deciding to invest in vessels. Equally important is COSTAMARE INC.'s longstanding reputation as an owner of containerships and provider of these to the major liner companies. Over the years COSTAMARE INC. has done business with more than 40 liner and logistics companies, including the best known liner companies and logistics services in Asia, Europe and the US. Customer loyalty derives from a history of good industry relations, as well as from the efficiency and good charter performance of the COSTAMARE fleet of containerships. COSTAMARE INC. is positioned for the long term. Using its existing assets and competitive advantages, COSTAMARE INC. aims to build further its fleet of containerships and keep pace with expected growth in demand for shipping capacity and services. COSTAMARE INC. is proud to be a participant in an industry contributing in an environmentally sound way to the improvement of living standards and consumer choice around the world. COSTAMARE INC.'s corporate vision is to take this further by managing its business in a long-term and sustainable manner - for all our stakeholders including shareholders, employees and customers.